Entry by lulupearl on Tue Oct 26 15:49:22 2010. They make me so proud! I love my Nordic brothers! I loe this pic and the one it's paited with. 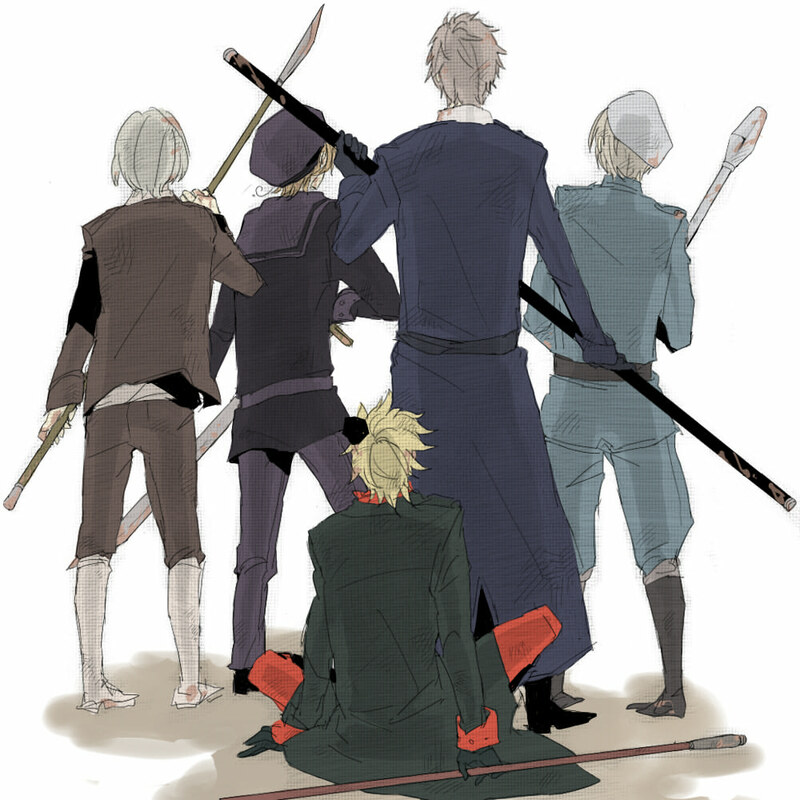 In this pic the other four Nordics have turned their bacsk on Denmark, but in the other one when they're all defeated Denmark is stood in the way, protecting them. THAT IS WHY I CALL DENMARK ONE OF HETALIA'S BADASSES. ...Danmark.. I still want to hit you with a stick, you really need to learn to not complain. ENOUGH WITH THE STICK ICE!! !IT HURTS!